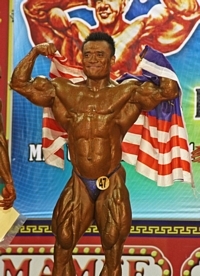 The third WPBF World Men 's Amateur Bodybuilding Championships or Mr.Universe was held in Melaka, Malaysia recently. 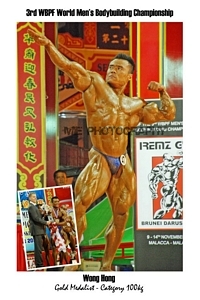 It attracted more than 40 countries and over 120 competitors around the world. After one and a half years of preparation , i finally nailed this coveted title! During this period, i basically breathed bodybuilding. I trained, ate, slept thinking about the day of the contest. I was 100% focused in my quest of becoming Mr Universe. 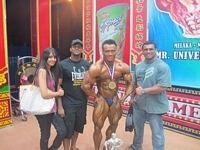 All the hard work and sarifices paid off handsomely when I won the heavyweight class up to 100kg . This is the title i have been longing for since i began bodybuilding some 20 years ago and hence its surely one of the greatest moments in my life. 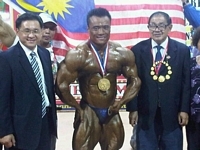 Its always nice ot be crowned Mr.Universe. 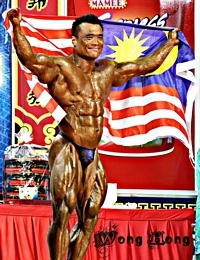 I will definitely come back to defend my title next year 2012.